On a recent long drive to New Orleans, me and my partner listened to the audio version of Sarah Vowell’s book Lafayette in the Somewhat United States. It’s good road trip material, a very entertaining account of the life of the Marquis De Lafayette and the French involvement in the American Revolution. What struck me the most, however, was just how much I didn’t know about the Revolutionary War. I think, like a lot of Americans, I was counting on the idea that the version I learned in the Fifth-Grade, from a drunken trip to Colonial Williamsburg in my early 20’s, and from the cast album of Hamilton was enough. It got me thinking about Florida, and the history of the state, and the last time I really bothered to learn about it- I have a vague recollection of learning some things in school, and we’ve all heard the (made up) version about Ponce De Leon and the Fountain of Youth, or have toured St. Augustine, but the state’s history still seems to be a bit murky for most people. Florida is different, its history doesn’t fit with our national myth of pilgrims seeking religious freedom, or plucky colonists rebelling against British Monarchy (with a lot of help from French Monarchy). Florida doesn’t fit that mold, and in a way its very existence negates the mold. 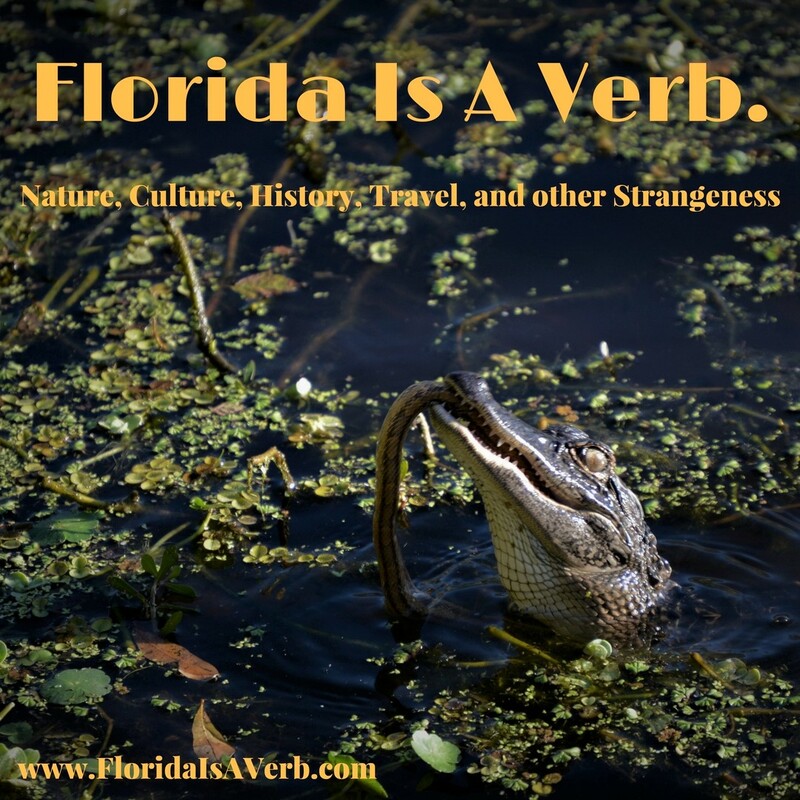 Florida is an outlier with a long strange history that stretches back to the earliest inklings of civilization- so here’s the dirty version, the one you didn’t learn in school, a refresher course with all the juicy bits put back in. When you drive Interstate 75 near Temple Terrace, between US-301 and Interstate 4, you’re driving over some of the oldest evidence of Human activity in Florida’s History. The Harney Flats Site was uncovered in the 1970’s during highway construction. Archaeologists discovered evidence of a camp and a tool-making site dating back at least 10,000 years. Other sites, such as Warm Mineral Springs in Sarasota County suggest that Florida may have been inhabited as early at 15,000 years ago, and human remains found near Vero Beach in 1915 (Vero Man) suggest that humans might have lived in Florida as far back as the Late Pleistocene Era, possibly as early as 20,000 years ago. While we don’t know much about these early Floridians, this long paleo-indigenous era gives us some important context: mainly that the human history of this peninsula is much, much, longer than is generally suspected- especially when compared to the mere 400-ish years of European involvement in Florida. These earliest people were most likely hunter-gatherers who lived in small family groups and moved between established camps, however, between 5000 and 2000 B.C. permanent settlements were established and more complex cultures appeared. In this era, native Floridians made woven fabrics and cordage, and fired clay pottery. They established trade networks, systems sf government, and practiced ritualized burial by sinking the dead, along with artifacts, into Florida’s natural springs, and around 500 B.C. large structures, such as the pyramid-shaped shell mounds at Crystal River, were being built, along with complex trade networks that stretched through what is now the Southeastern United Stated, the Caribbean, and Central America. Visiting the Crystal River Mound complex is a revelation, it’s one of the few remaining sites from this era that can give you a good idea of Florida’s early indigenous people. Three large, mostly intact, mounds illustrate a place that was a major religious site for that era. There’s a large ‘pyramid’ burial mound in the center, a tall mound that oversees the river- possibly as a lookout or a signal station, and then a wide and flat Temple Mound with a ramp up the center and shallow moats along the sides. These moats would be filled with water during ceremonies and public addresses so that the surface of the water would reflect and amplify sound from the Temple Mound to reach people across the wide assembly plaza between the Temple Mound and the Burial Mound. This was explained to me by a very enthusiastic park ranger who told me how amazed he was when he experienced the effect firsthand after a heavy summer rain- that a person talking at normal volume from on top of the mound could be clearly heard for almost fifty yards. Standing there, it’s easy to imagine hundreds of people assembled in the plaza listening to amplified voices or music from the top of the mound. A few other structures still exist from this era, but the Mound complex at Crystal River is the best preserved. Florida’s mound-building cultures evolved directly into the chiefdoms that Europeans encountered at the beginning of the Sixteenth Century. For most of the 1000 years before then, the people of the Florida Peninsula were divided into two main cultures, the Timucua in the North and the Calusa in the South. The Timucua were a loose confederation of smaller tribes that shared a common language and often formed strategic and trading alliances, though they had no form of central government. The Timucua were mainly agrarian, many of them built large wooden communal houses with palm thatched roofs- and shared some physical and cultural similarities with the Arawak-speaking people of the Caribbean and South America, suggesting a shared ancestry. The Calusa, in contrast, had a stratified society with a system of nobility and common people- not unlike European Feudalism, ruled by a triumvirate of leaders (a political leader, a military leader, and a religious leader) and centered around the Southwestern Gulf Coast. The Calusa created a complex system of tide-pool fisheries for producing food, canals for transportation, as well as causeways, shell mounds, and other large earth-work structures. Though the central Calusa State stretched along the coast, from Sarasota Bay to the southern tip of the peninsula, they exerted a heavy influence on the other disparate tribes of South Florida, such as the Myacca, Miyami, Jeaga, and Ais cultures. While we know some key points of interest about the cultures that inhabited Florida for the majority of its history, there are still a lot of unfortunate blind spots. What we do know is that in the millennium or so before the age of European colonialism, Florida was populated by two large complex cultures that had their own histories, traditions, ideals, and knowledge, that have unfortunately been lost to time, disease, and colonial exploitation. Furthermore, most of the portrayals we have of these people come to us from European colonists, making it very hard for us to see how these people saw themselves. Famously, artists like Jacques LeMoyne created romanticized images that, perhaps, more clearly reflected the European imagination than the reality of Florida’s indigenous people. Still, just knowing that Florida has such a long history of human habitation changes our perceptions of the place- rather than the fantasyland portrayed by the first colonists, or the virginal wilderness it was seen as during the Nineteenth Century—or even the never-ending vacation of our contemporary tourism commercials- Florida is a place of deep and old humanity.